Fuel Blending Systems - ! Equipment for Transformer Oil Reclamation. GlobeCore. Mixing (blending) of bunkering fuel oil using USB system. USB bunkering fuel oil mixers there are on oil barges, on piers, on the coast or in containers allow to make operators any type of fuel with the very precisely given a task viscosity and volume. Currently bunkering terminals and parks introduce stream mixing as a key component of the work. Modern mixers, with control of a ratio or quality adjustment, can increase flexibility, reduce capital investments in mixed product and reduce mixes production time. Correctly adjusted and installed hydrodynamic blender can become heart of the successful enterprise for mixing of bunkering fuel oils, giving opportunity to give the wide product range on demand directly to barges, pipelines or on storage. Production on the basis of commodity oil products (high-quality gasolines different grades with different octane number, biofuel, diesel, oil, corresponding to European standards The GlobeCore Blending company has the huge long-term experience in development, production, of fuel oil blending systems for terminals and parks worldwide. 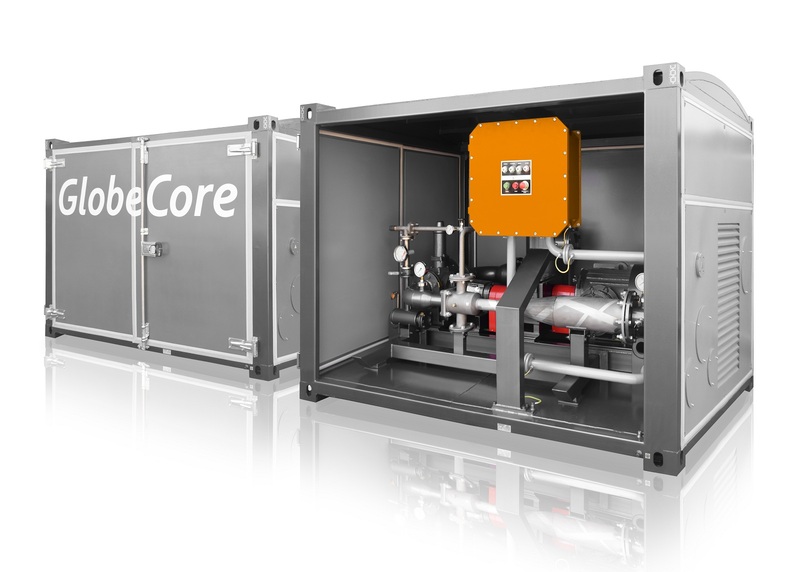 Wide experience of GlobeCore Blending in commissioning and teams of engineers, give to operators confidence that the decision will be found for each concrete situation. Advantages of hydrodynamic cavitation systems • Low power consumption; • High power of cavitation and acoustic influence; • Low cost of received cavitational and acoustic energy; • Simplicity of operation; • High technological effectiveness in hardware registration; • It is projected on any productivity; • Combine technological operations; • Simplifies hardware registration of processes; • It is easily aggregated with highly reverse drives; • Small metal consumption; • Technological adjustability with optimum parameters.